ca. 1920-1924. 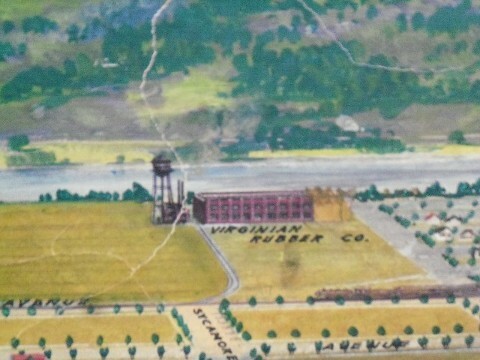 Located on the site of present day Morgan’s Kitchen. Ordnance Park (ca. 1941) ... and before MacCorkle Ave. (late 1940’s). - Located on the site of present day Morgan’s Kitchen. 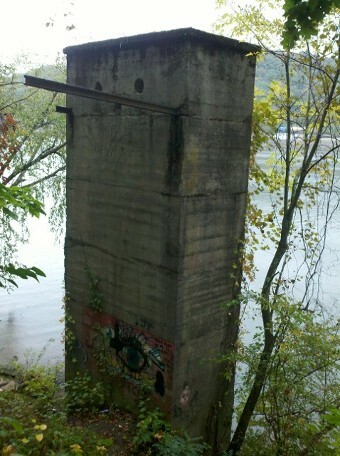 - In old photos... it appears to be a two story concrete or brick structure. 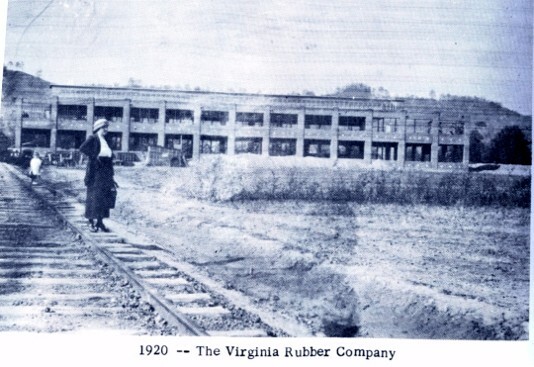 - Manufactured ‘Virginian’ tires, tubes, toy balloons, balls, and rubber dolls. - Railroad spurs lead to C&O railroad. Grade is still visible at tennis courts. - Probably ... much more conc. is still covered with earth at this site..
- Employed several hundred employees. - Destroyed by fire onJanuary 13, 1924. - Damage estimate was $500,000. - The plant never rebuilt. 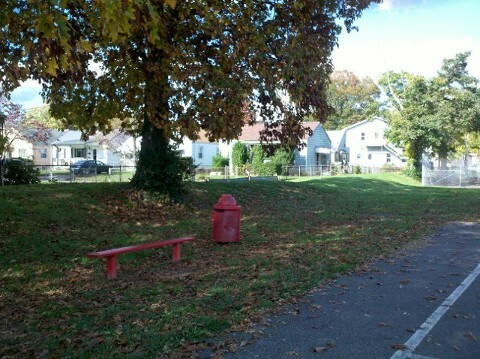 the river and Clevland Ave. ran parallel to the railroad tracks....both were dirt. (Above) Two Story concrete (or brick) building being built. Rail Road Siding (left raised area) going to the site.